to visualize their spaces in stunning 360 degree digital environments. 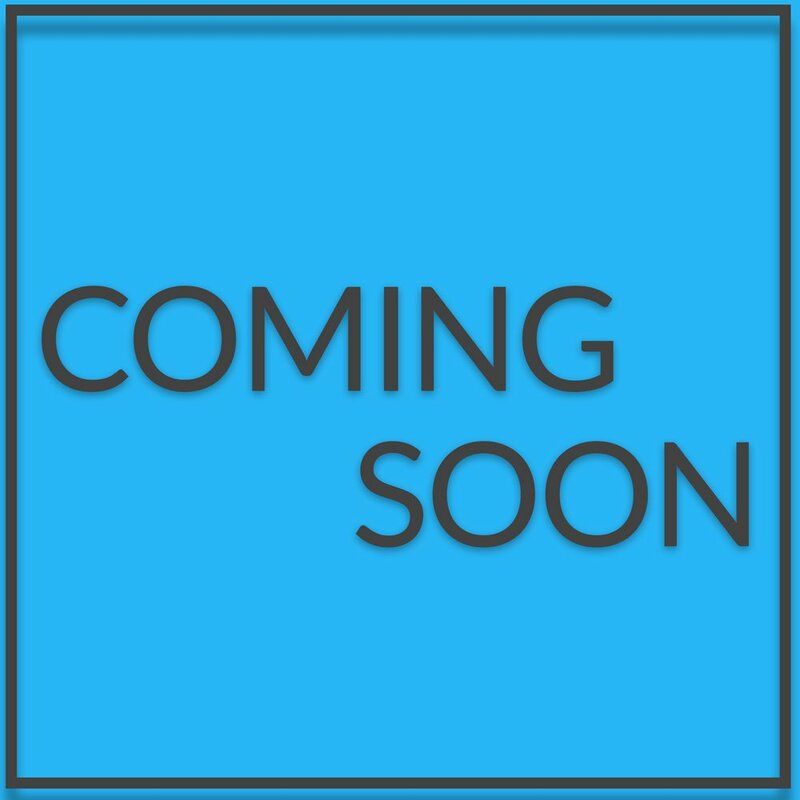 Sign up with your email address to receive development updates and discounts. 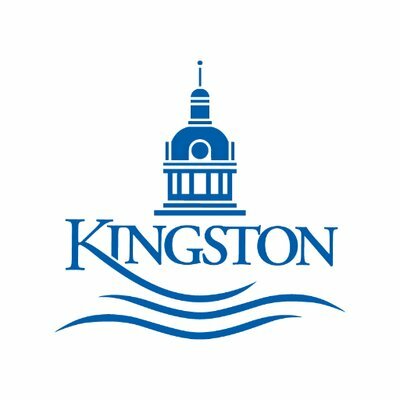 Its now easier than ever to explore the Historic City Hall in Kingston, Ontario in Virtual Reality. 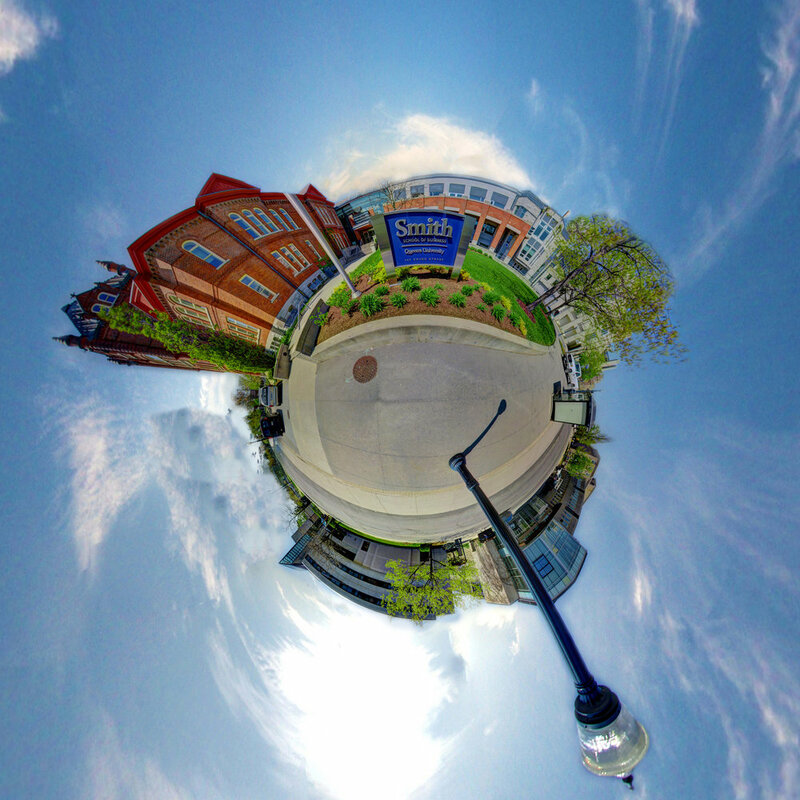 Virtual visitors from around the world can now explore the different parts of the building including the Kingston Police & Historic Jail Museum, the Council Chamber, Memorial Hall, the Heritage Resource Centre and the usually off-limits clock tower! The fans have never been able to get closer to the shows they love than with our immersive 360º VR Technology! The SyFy Network and Amazon Prime Network's show The Expanse was entering their 3rd season and to reward their loyal fan base we were enlisted to create a fully interactive 360º Virtual Tour of one of their biggest sets! Our final tour lets the fans experience the incredible detail of the fictional ship the U.N.N. Agatha King like never before. Two versions were created, a desktop version complete with interactive floor-plan and sound clips and a mobile optimized version. A two part 360º VR experience was created for Amazon Prime & the Starz Network's show American Gods. We turned the Crocodile Bar, the shows only permanent set, into an interactive experience that fans can explore and listen to exclusive commentary by the show's biggest stars including Ian McShane, Ricky Whittle and Pablo Schreiber. The interactive experience was then simplified and turned into a YouTube compatible 360º Video. 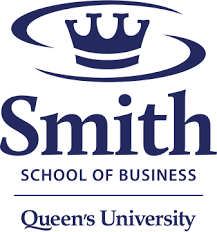 Queen's University employed our VR Marketing services to attract new prospective students and display the brilliant facility at the The Stephen J.R. Smith School of Business. Unlike before, students, parents and professors can now virtually walk-through the entire faculty, exploring the different classrooms, lecture halls, and facilities. We were engaged by the University of Toronto to capture all of University College. Originally the first building that housed all of the university's functions, it now serves as a significant building for classes and university tourism. As it undergoes extensive renovations over the next two years, our 360º VR tour will allow for students and visitors alike to tour the building as it exists currently. It will also function as a reminder what the building looked like before its newest renovations. Canada's best artists get a signature VR look. In October 2016, the RBC Canadian Painting Competition showcased the best emerging artists from across Canada. 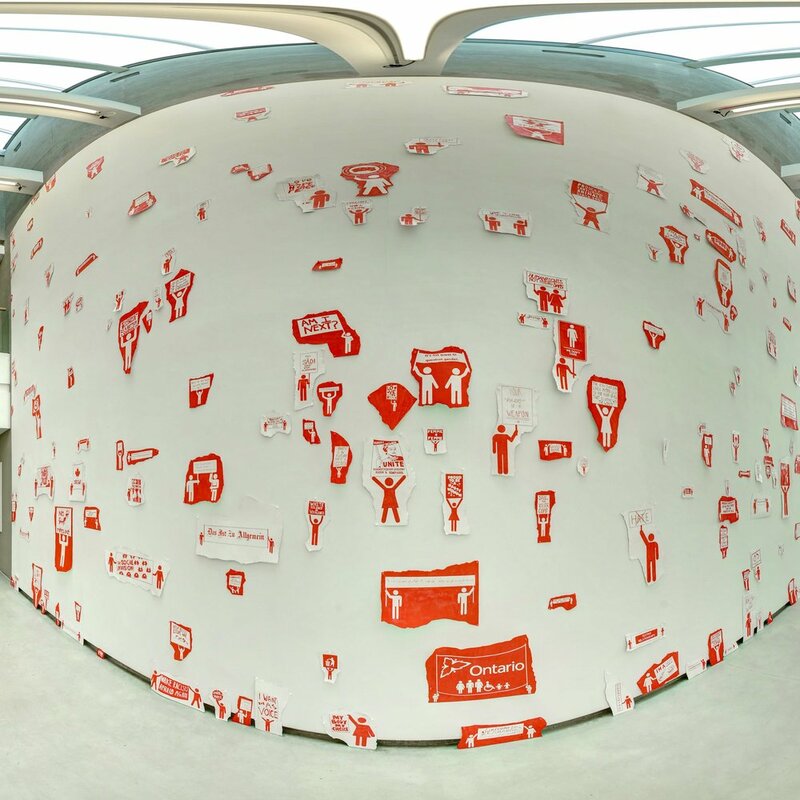 Our 360º VR look into the finalist's gallery allowed audiences around the world the opportunity to experience the exhibit. This mini VR experience captured the highlights of the 10th annual Artist Project Contemporary Art Fair. With 30 different 360º positions, the VR experience we created delivered a brief but exciting look into what the 3-day fair had to offer, driving curious visitors to explore the show in person. With over 160 different camera positions and 135+ Megapixel photo-spheres, this 360º walk through gave visitors an extremely detailed perspective of the 3 day event. This tour has received over 4000 unique visitors to date. 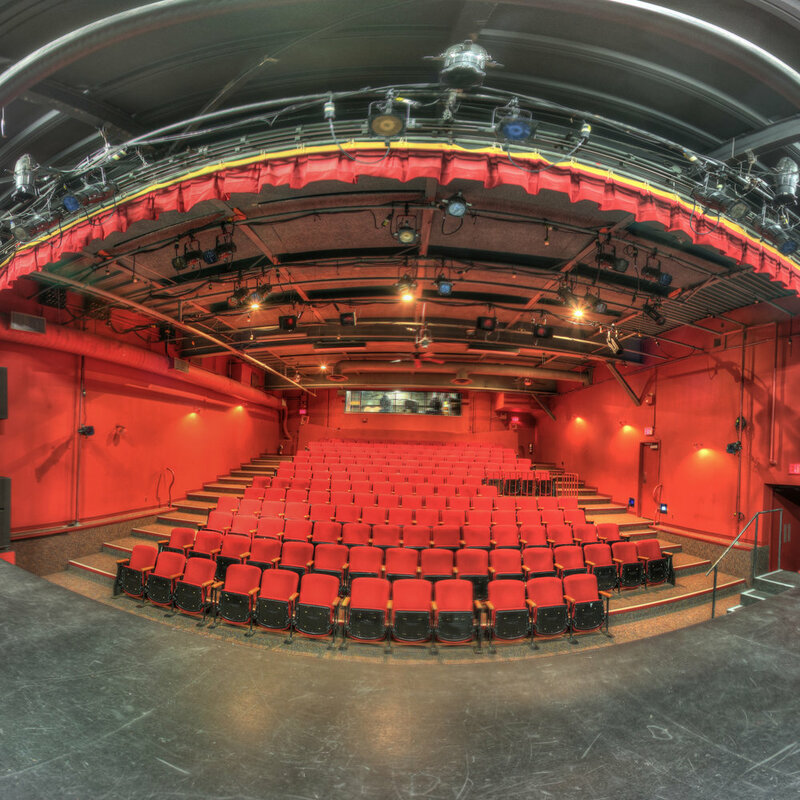 We created a full 360º walk through of The Isabel Performing Arts Centre in Kingston to showcase the theatre’s spectacular architecture. At the same time, we created a tool for visitors who would like to navigate and explore the centre online. 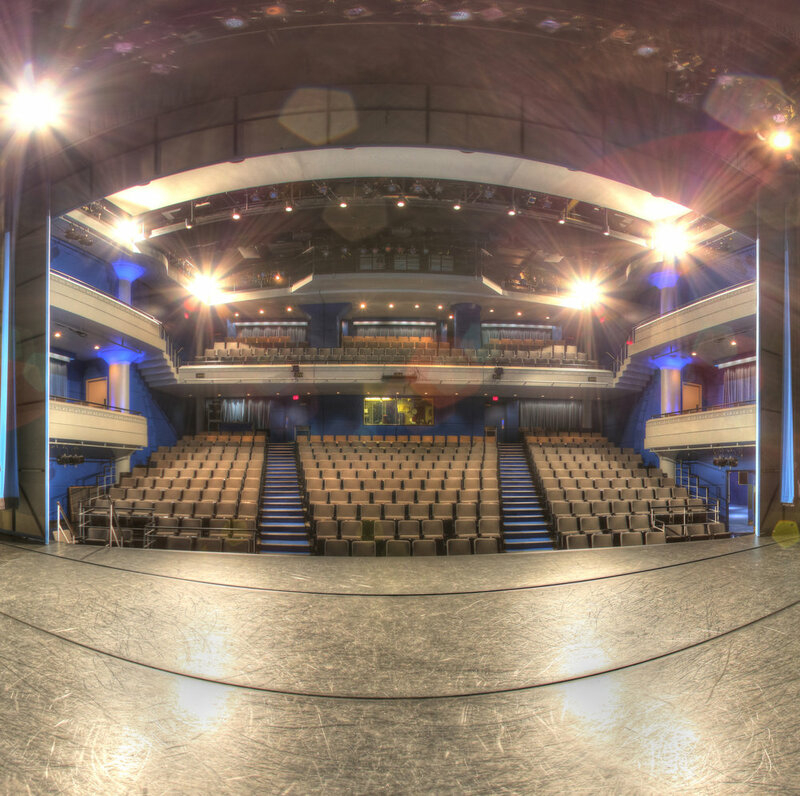 Our unique 360º tour also allows visiting artists to became familiar with the space prior to arriving at the venue. 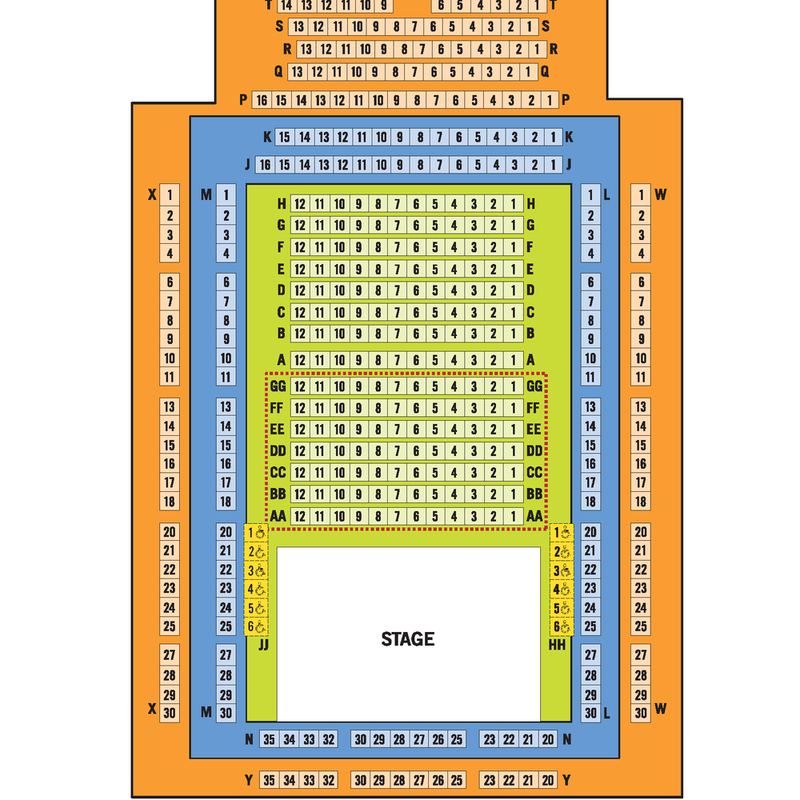 An interactive seating map was created for this project - where patrons can see their seat's perspective before purchasing their tickets. Our 360º VR Walk-through of the Green Centre Canada's Kingston-based headquarters showcases their 8,000 square feet laboratory space and the equipment specially designed for small-scale, bench-top chemistry innovation which offers a full suite of fume hoods, glove boxes, and analytical instrumentation in addition to several walk-in scale-up bays. This marketing opportunity allows for potential clients to see the high-tech facility and helps to attract new buisness, clients and researchers. The Power Plant Contemporary Art Gallery has trusted us to create full 360º VR tours of each of their rotating gallery exhibitions. We document every show and expand the audience of the gallery by bringing it digital. 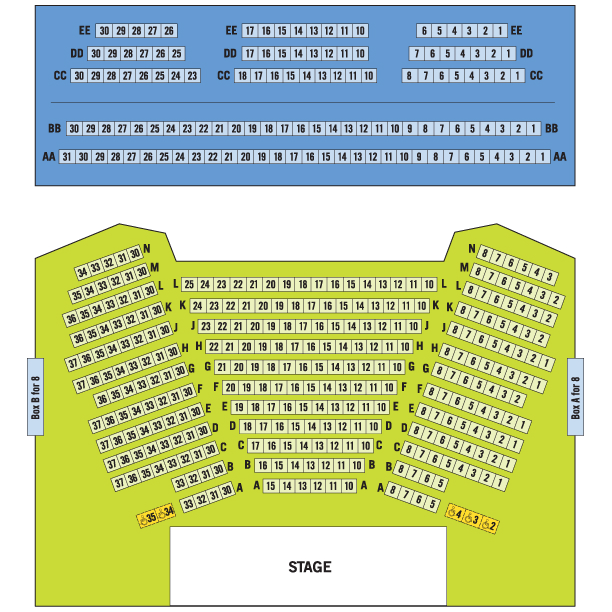 we created a 3-part VR tour [Public | Backstage | Interactive Seating Map] which they were able to use as an accessibility tool to their public clientele and as a resource to rent out their venue spaces. The MacLachlan Woodworking Museum is a small museum located in Kingston, Ontario. With a 360º VR tour of their museum they were able to increase their audience reach and attract more visitors to their location. 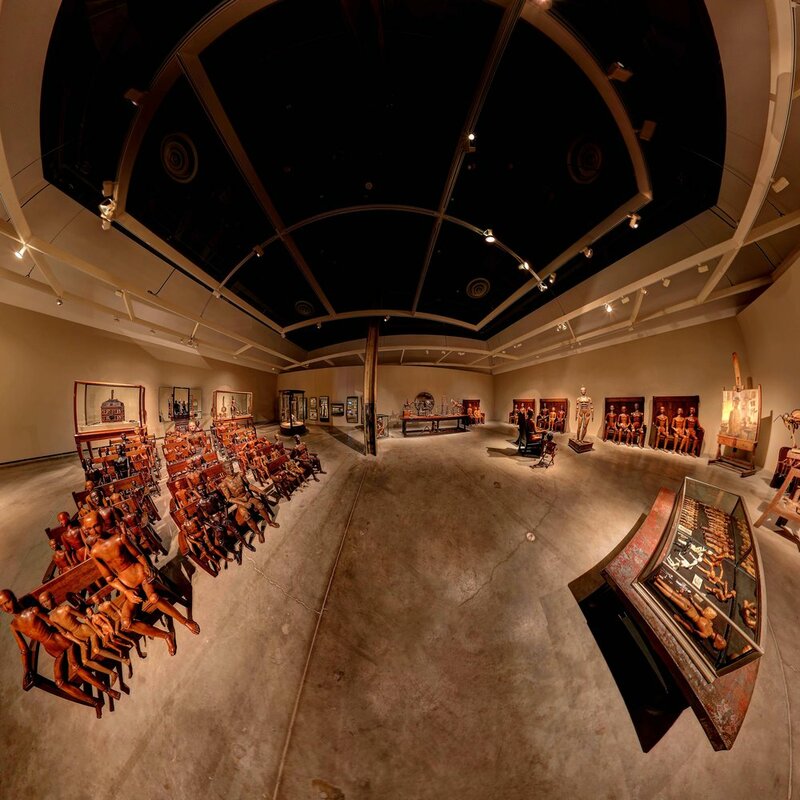 Take a look at the museum for yourself and see the level of detail we were able to capture with our UHD 360º cameras. The Toronto Design Offsite Festival (TO DO) is Canada’s largest cultural celebration of design with over 100 exhibitions and events forming Toronto’s design week. The festival takes design out of the studio and into the city, bringing people together to celebrate design in Canada, January 16-22, 2017. We were brought in to help immortalize parts of the festival that had been held at Craft Ontario during the short festival week. This 19th Century Victorian building is known to showcase some of Toronto's best contemporary art exhibitions and is frequently rented out as the location for trendy events in the city. Our 360º VR tour gives an detailed look into the Gladstone Hotel's Melody Bar for prospective venue rentals and event planning. Soon to be one of Etobicoke's most luxurious residences, 4 The Kingsway chose to capture their presentation showroom with our technology. Giving their investors full control and the oppertunity to completely explore every detail of their fine craftsmanship. Complex floor plans and interesting layouts do not show well with only traditional 2D photography. Having the ability to move freely through a space in an online experience is what drives qualified buyers to make decisions faster. See for yourself in our 360º tour of 2406 - 55 Centre Ave. Toronto, ON. Our services are used to sell some of Toronto's top real-estate. In this hot market, our 360º VR tours make sure only qualified buyers are using your time for showings and they help you sell smarter. This example shows features with Google Map integration, customized navigation bars and colour schemes. Whether you want to market your apartment for rent or sale, our 360º tours offer the most effective way to present your property digitally. Take a look at this stunning renovation by DAZZ Construction Inc. to see an example of an apartment space. Click on the tabbed arrows at the edges of the screen to move locations. Our ongoing work with FARHI Holdings Corp. started with us creating massive 360º VR tours for 9 of their largest properties. Each equipped with an interactive floor-plan, they are used as an innovative tool to sell large office and retail spaces. A home page was created to present all of our 360º tours in one place, for easy access. Youth Opportunities Unlimited has been doing amazing things to help the lives of London Ontario's disadvantaged youth. Working with them, we showcased the YOU Made It Cafe, the Youth Action Centre, the Green Roof and a Residential Suite. Representing a full commercial property is easy, with 360º photos at key feature points that also provide a spatial sense of the property. This property tour created for CF Realty shows the building exterior, lobby, and a sample unit. Before the full renovation of the once beloved bar in London, On., we were brought in by GLEED Commercial to document the bar that originally opened in 1986. Now those who are looking for a nostalgic glimpse into the past or those who want to compare the renovations to the original can digitally walk-through the building themselves. The Canadian Cost Guard Ship Alexander Henry has had many lives. Originally serving as an icebreaker from 1959 to 1984, it then became a historical museum ship at the Marine Museum of the Great Lakes in Kingston. In 2016 the fate of the historic ship changed, it's future uncertain and it was no longer open to the public. We were invited in to preserve it and create a digital museum that would always be available for public study. With the first classrooms constructed in 2014, Queen's University's Active Learning Classrooms feature leading-edge technology to enhance the learning experience of the students. These classrooms can be complicated, so the Liberty360º Inc. team was brought in to create a 360º VR experience for both students and instructors to promote accessibility, functionality and foster creative teaching and learning methods. This tour is equipped wit an interactive floor-plan, custom colour scheme, and integrated PDF instructions built into each of the instructors podiums. The ancient Roman site of Stobi, Macedonia was founded as far back as the Archaic period. This major Roman city has been undergoing excavations and restorations since the early 1920's. Our 360º VR tour of the site has helped to preserve it and broaden the awareness of the site across the globe, attracting more visitors leading to more funding to help in the restoration and conservation. Thank you for getting in touch with us! One of our business development representatives will be in touch with you shortly.